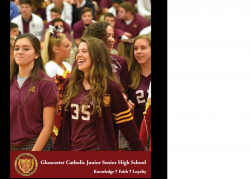 Gloucester Catholic has placed among the top private high schools in New Jersey as the independent rating service, Niche.com, released its 2019 rankings last week. Gloucester Catholic Junior Senior High School scored highly in its “Report Card” from Niche.com with an overall Niche grade of “A”. See Gloucester Catholic’s Niche Ratings here.